HMS Gambia was conceived during the re-armament period between 1934 and 1939. The Second London Naval Treaty of 1935/36 limited cruisers to 8,000 tons and in 1938 a new class of light cruiser, the Crown Colony class, was conceived for the 1938 Navy Estimates. The Crown Colony class design was based on the Town class of cruisers, using the same armament but differing in armour and dimensions. The Crown Colony class also differed from the Town class in that the stacks were vertical instead of raked and they had a transom (flat) stern instead of the more pointed design of the Town class. Eleven ships were ordered of the Crown Colony class between 1937 and 1939. 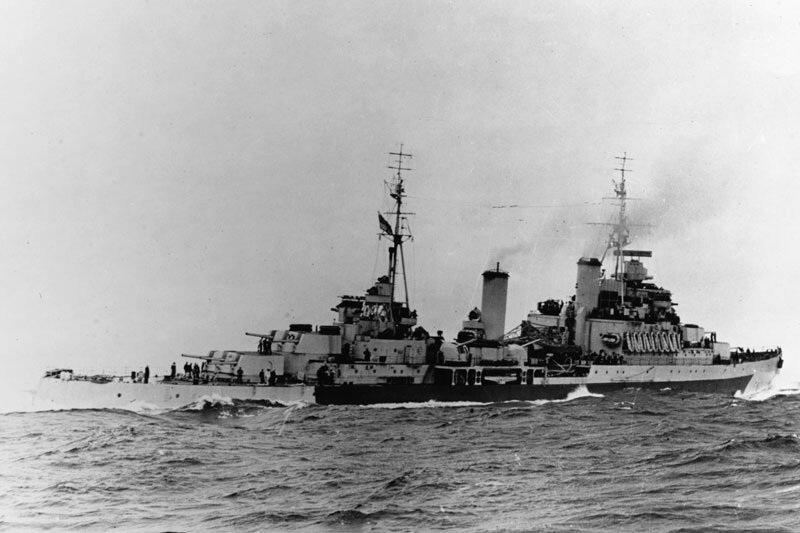 The first eight were the Fiji group which included HMS Gambia and the final three were the Ceylon group. Gambia was ordered on March 1, 1939. Construction started on the ship on July 24, 1939, at Swan Hunter's Yard at Wallsend, Newcastle upon Tyne. Wartime shortages of material and manpower along with the repair of ships needing higher priority meant there were some delays. Fairfield shipbuilders at Goven, Scotland for example, had taken on the same workload as the John Brown yard at Clydebank, but with only half the workforce. The destroyers HMS Redoubt and Relentless that were to have been built by Fairfield's were transferred to John Brown. 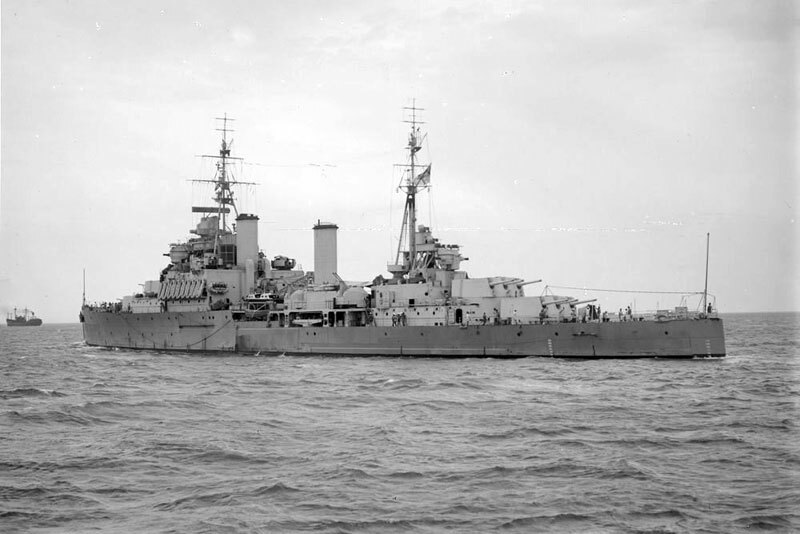 The completion date for HMS Howe, being built by Fairfield's was postponed from June to October 1942. The siuation for the aircraft carrier HMS Implacable, also being built by Fairfield's was worse. 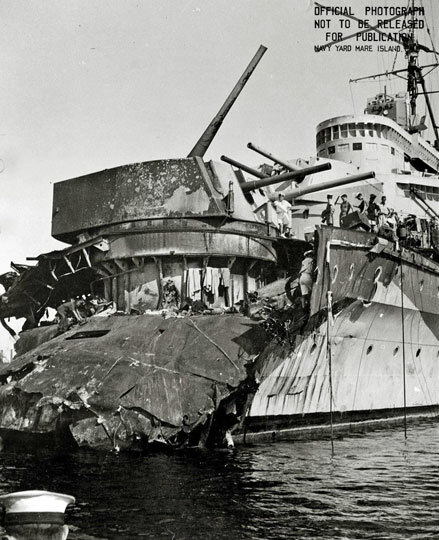 The completion date for her was put back from July 1941 to March 1944. It wasn't just Fairfield's that were having problems fulfilling orders. Swan Hunter had 18 elecricians working on HMS Gambia, there should have been 150. 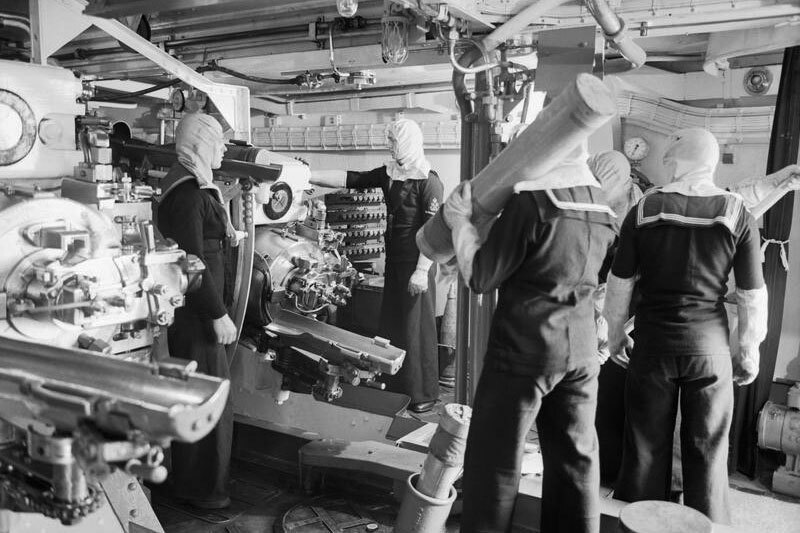 Cammell Laird were also short of skilled men. They had vacancies for 50 electricians to finish HMS Prince of Wales. Fitters were also wanted by the shipbuilders. Thornycroft needed 25, J. S. White wanted 30, whilst Stephens needed 100. Despite the shortages, HMS Gambia was launched on November 30, 1940, by Lady Hilbery, wife of circuit judge Mr. Justice Hilbery. She was commissioned on February 21, 1942, and joined the British Eastern Fleet for active service based in Singapore. As built, she was 555ft (169.3m) long, had a beam of 62ft (18.9m), a draught of 16ft (5m) and a displacement of 8,530 tonnes which increased to 10,450 with a full load. Her four oil fired three-drum Admiralty-type boilers and four-shaft Parsons geared turbines with four propellers could deliver 54.1 megawatts (72,500 shp) and gave her a maximum speed of 33 knots (61 km/h), with a range of 6,520 nautical miles (12,080 km) at 13 knots (24 km/h). Her armament was 4 × 3 BL 6" Mk XXIII naval guns, 4 × 2 4" guns, 4 × 2 40mm Bofors AA guns, 3 × 4 2-pounder ("pom-pom") AA guns, 6 × 2 20mm AA guns, 2 × 3 21" (530 mm) torpedo tubes and 4 x 4 0.5" machine guns. She was protected by 3.3" (83mm) of armour, with 2" (51mm) for the deck and turrets, and 4" (102mm) for the director control tower. The Colony class only had one of these towers as opposed to the two on the Town class. The 6" Mk XXIII turrets and ammunition spaces were laid out as the Town (Edinburgh group) class, except the after turrets were a deck lower as in the Town (Southampton and Gloucester groups) class. The long turret version of the triple 6" gun fitted to the Colony class were 25 tons heavier than the 150 ton turret on the Towns. The complicated ammunition supply conveyor sytem of the Town class was also improved for the 4" (102 mm) guns. The last compartment aft is the Admiral's cabin - it runs the whole width of the ship (It is not too wide at this point as the stern narrows). If there is no Admiral aboard, then the captain usually uses the Aft cabin. The Captain's cabin is just for'd of this - smaller and only half width. On the port side, just outside of his cabin is the emergency steering unit. You have to have one of these, because the hydraulic line on the main one might get broken due to "action" or other reason. On the starb'd side of all this is the main keyboard. The keys kept in a case which is guarded by a Royal Marine. and have to be signed out. One thing about some special keys is the Radio Transmitter equipment. If a person has to go up the For'd mast, the radio transmitter has to be turned off and locked. because the high transmitting voltage would kill a person up the mast if it was transmitting. The ship has about 100 Royal marines, plus corporals and sergeant. They are billited aft of all the rest of the crew. Thereason is that if there is a mutiny on board, the Marines are duty bound to protect the Officers! This tradition goes back well before Nelson's time. The 6" "Y" turret is manned by the marines. 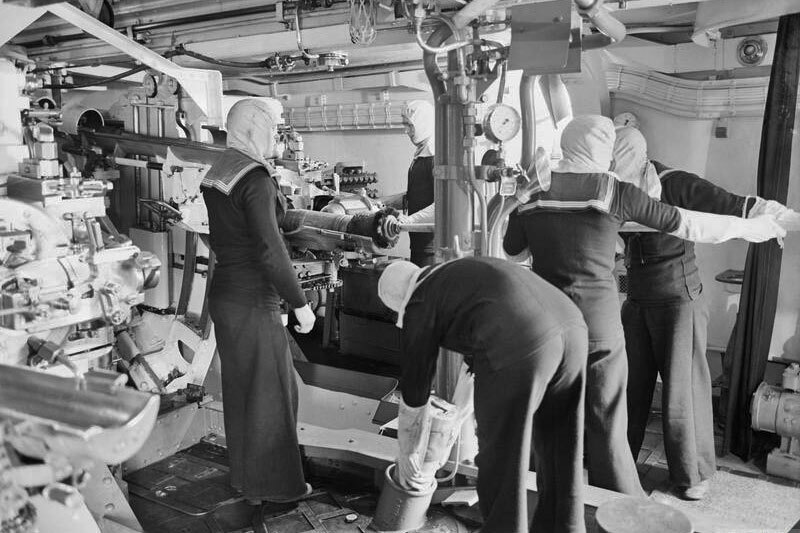 To operate the 6" turrets (3 barrels) requires about 40 men - 10 in the turret with a petty officer and the rest below in the shell and cordite rooms. 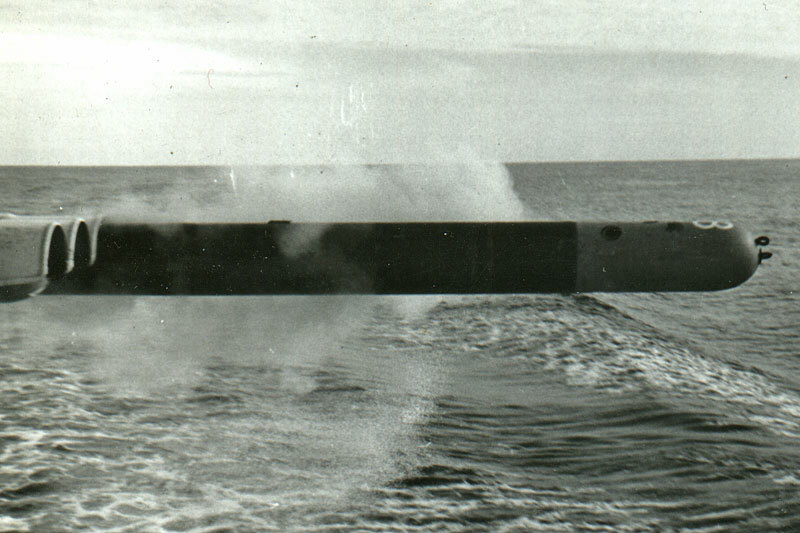 Tthe cordite is in a bag and is fired off by a small brass type cartridge about one inch dia. and 4" long which is connected to 24 volts DC one wire (Earth return). If the main ships power (of various voltages) fails the 24 volt Main batteries will take over. I was involved in all this as I was in the electrical Branch. Of the 3" barrels, the centre one is about 6" further back (in the turret) and not in line with the outer two. Reason being that when the all the 3 barrels are fired....the outer two's explosions at the nozzels will not affect the inner barrel's shell. Also, if the ship is rolling and the firing button is pressed the guns will not fire until the ship is on an even keel (perfectly upright). Weight was always a problem for this class of cruisers. They carried so much weaponry that the addition of more meant that weight had to be saved somewhere else. 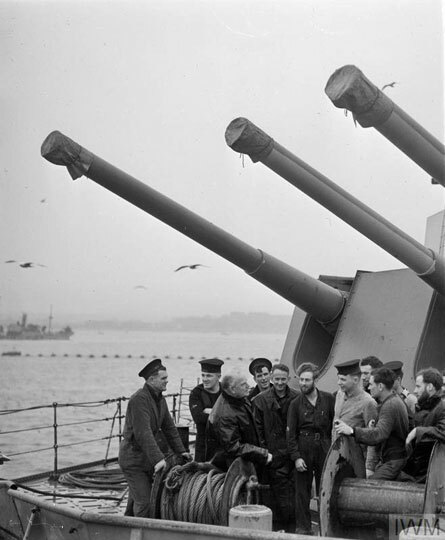 Captains were orderd to keep the fuel in the tanks as a counterweight to stop the ships being too top-heavy. Ships of the Fiji group were equipped with radar of Type-273 (target indication and surface warning), Type-281 for air warning at the masthead and Type-284 (main armament ranging) and the HACS AA fire control system. The Admiralty Fire Control Table was used for surface fire control of the main armament and the Admiralty Fire Control Clock for surface fire control of the secondary armament. She also carried two Supermarine Walrus aircraft and had a compliment of 730 men which was increased to 1,000 during wartime. In March 1942, the ship was adopted by the people of Huddersfield following a successful Warship Week National Savings campaign. She was involved in the Battle of Madagascar in September 1942 and later carried out trade protection duties in the Indian Ocean, and later still was carrying out anti-blockade runner patrols in the Bay of Biscay. In November 1942, there was a reft and weapons upgrade. The addition of improved radar meant the Supermarine Walrus aircraft and their catapults could go. The port crane and catapult were removed in September 1943 and the other crane centralised for use with the ship's boat and the hangars converted for other uses. The starboard became a mess deck, the port a recreation space / chapel / cinema. 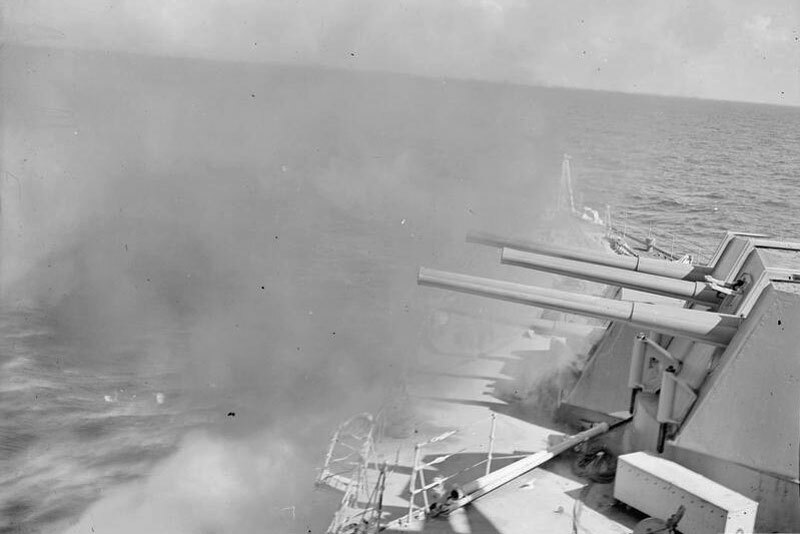 The two 20mm guns on X-turret (the upper of the aft turrets) was insufficient AA defence for a ship, so the pom-poms were replaced with 10 x 2 20mm guns. The removal of the planes meant the ship need not carry the aviation fuel for them either, which meant more space was available below decks. 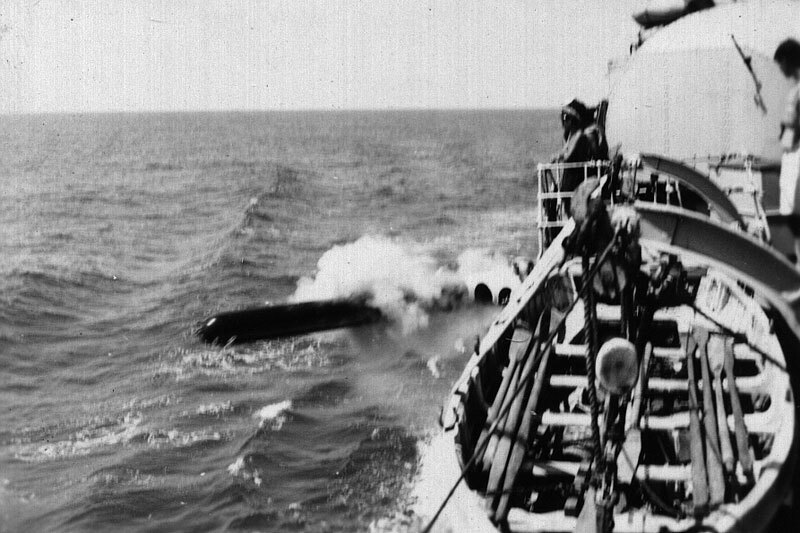 In 1940, HMS Liverpool had her bow blown off when a torpedo detonated the 5,700 gallons of aviation fuel stored forwards and was out of action for a year. There were some issues with coverage of the Type 273 radar and it was replaced with a lower-powered Type 272. The 6" turret director was fitted with a Type 284; the secondary high-angle director for the 4" AA guns was Type 285. The pom-poms were controlled by Type 282 radar. 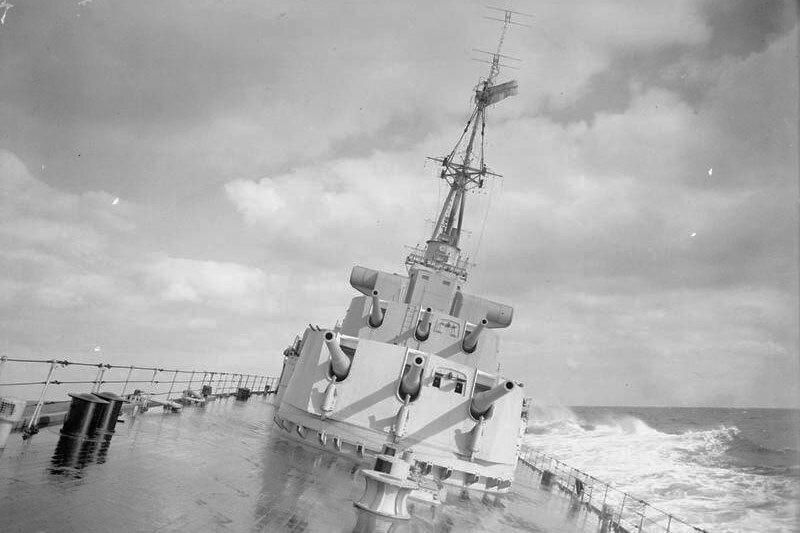 In 1943, Type 283 radar was fitted to the blind-fire barrage directors for the 6-inch guns. John "Jock" Hair wrote on the RNZN Communicators website that the wireless receiver during the war was a Marconi B28. Continuous receiver 300Khz to 30 MHz with 6 string selected turret bands within each band it was possible to tune along the spread of each band. The B28 superheterodyne principles were used. The transmitters were in the lower decks and were Type 600 series controlled from the wireless office by telephone plug and socket arrangements. The wartime Tx equipment was retained and used till the end but B28s were replaced by more modern B40 receivers. Gambia was transferred to the Royal New Zealand Navy on September 22, 1943, under Captain N.J.W. William-Powlett DSC, RN. However, the formal transfer did not take place until 8 May 1944. 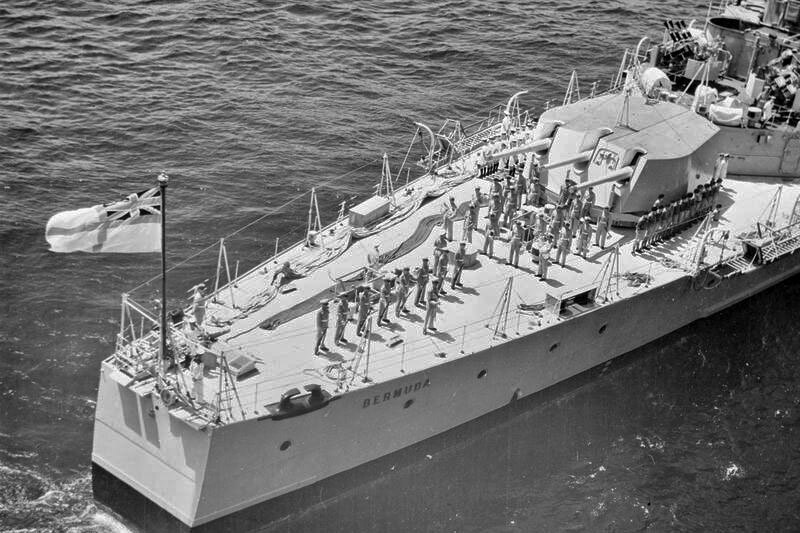 HMNZS Gambia served with the British Pacific Fleet, participating in attacks on Japanese positions throughout the Pacific. In February 1944, she was searching for blockade runners in the Cocos Islands area. She also supported a series of carrier raids against oil installations and airfields. She saw action off Okinawa, Formosa and Japan and took part in the bombardment of the Japanese city of Kamaishi on 9 August. She was under attack by Japanese aircraft at the time that a ceasefire was announced, and possibly fired some of the last shots of World War II. She was in Tokyo Bay on September 2, 1945, for the signing of the Japanese Instrument of Surrender. Gambia was returned to the Royal Navy on March 27, 1946, at Portsmouth. She underwent a refit and further upgrades, including the addition of US supplied Mk 63 radar to control the twin 4" guns. The X-turret (the upper of the aft turrets) was removed and replaced with two AA mountings. Gambia was recommissioned on July 1, 1946 for the 5th Cruiser Squadron with the Far East Fleet. 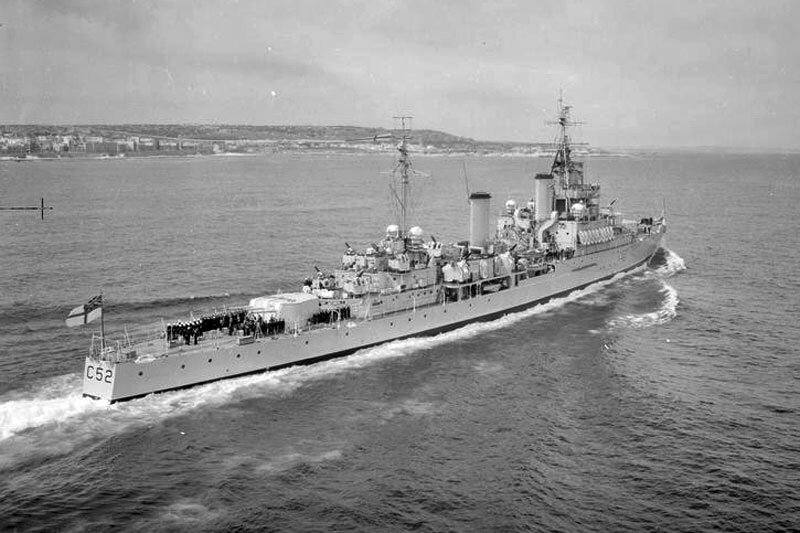 She returned to the UK on 6 January 1948, and in January 1950 she was assigned to the 2nd Cruiser Squadron in the Mediterranean, later serving with the 1st Cruiser Squadron on the same station until October 1954. 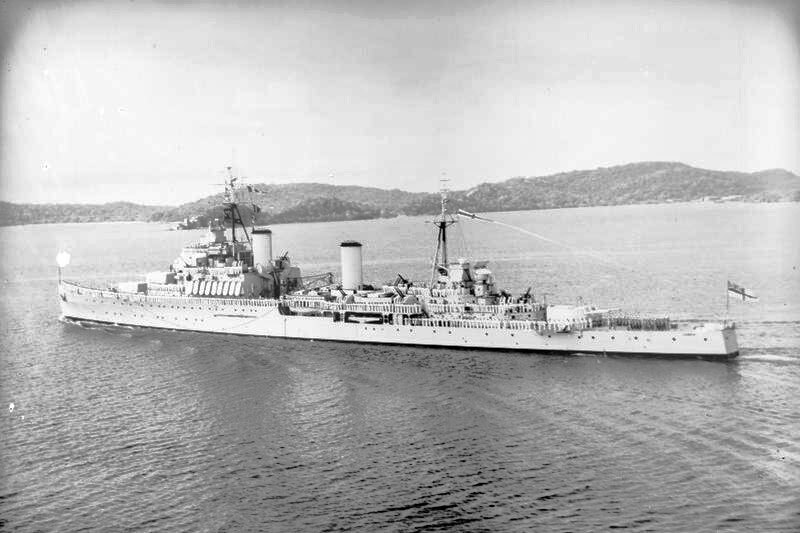 In 1953, she and her sister ship HMS Bermuda brought aid to the Greek island of Zakynthos when it was struck by a severe earthquake. On June 15, 1953 she was present at the Coronation Fleet Review to celebrate the Coronation of Queen Elizabeth II at Spithead. 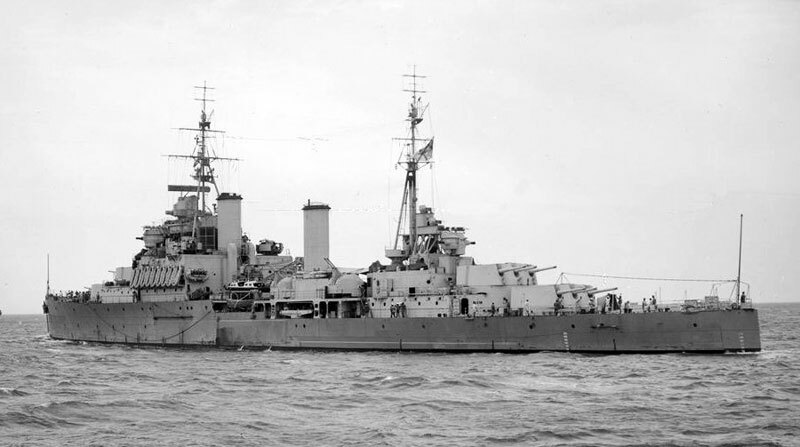 In 1955, she became flagship of the 4th Cruiser Squadron on the East Indies Station. 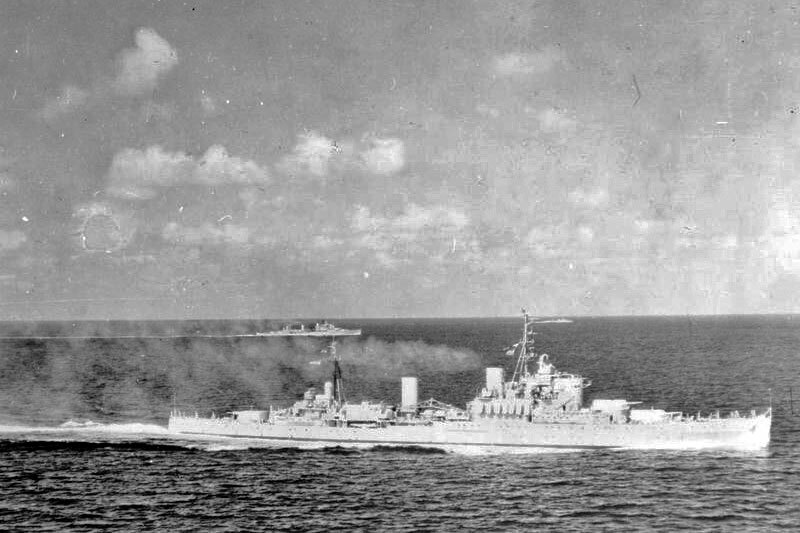 A decision not to refit the battleship HMS Vanguard, meant funds were available for a life extension and weapons upgrades of Gambia and Bermuda in 1956. During this refit, the bridge was enclosed and all her 20mm guns were replaced by twin mounted Mark 5 40mm Bofors guns. The bridge was probably enclosed due to the contingency of nuclear war. 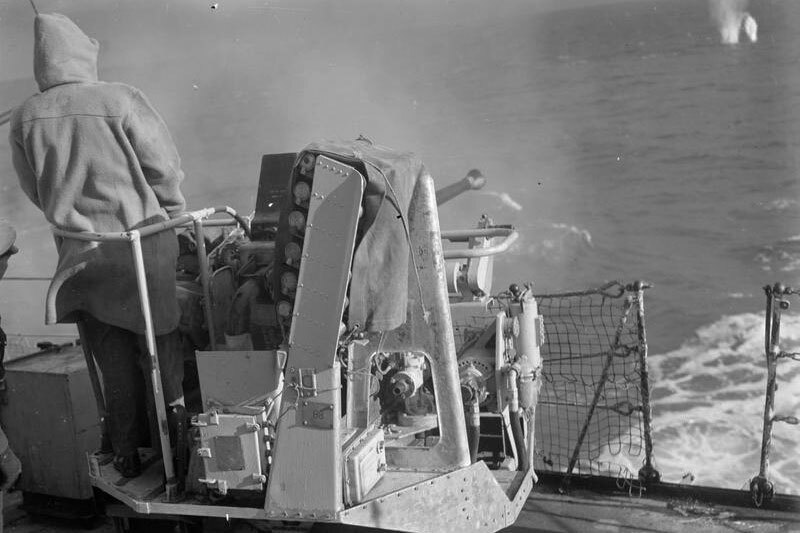 SPG-35 radar fire control added for the 4" guns, similar that being fitted to the remaining United States Navy Baltimore-class cruisers, although the twelve twin 3"/50 calibre guns on the US cruisers were far more accurate and effective, than the Royal Navy Mk 5 Bofors or X1X twin 4. She was recommissioned on May 1, 1957 at Rosyth. In May 1957, Gambia sailed again for the Persian Gulf station, as the last flagship on this station, and returned to Rosyth on 19 September 1958. 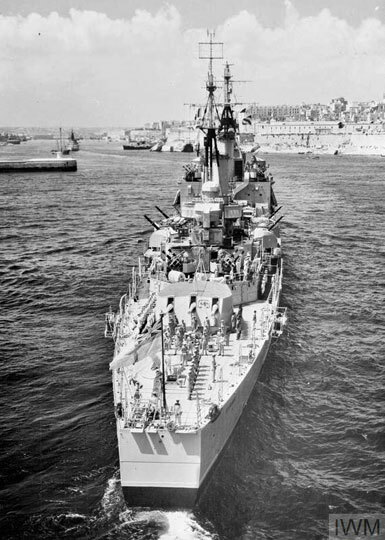 On 4 November 1958 she recommissioned for the 1st Cruiser Squadron in the Mediterranean. She deployed to the Far East on 4 December 1959 to relieve the cruiser Ceylon in the Red Sea. HMS Gambia returned to the UK via South Africa with a visit to Freetown and the Gambia, before arriving in Portsmouth in July 1960. 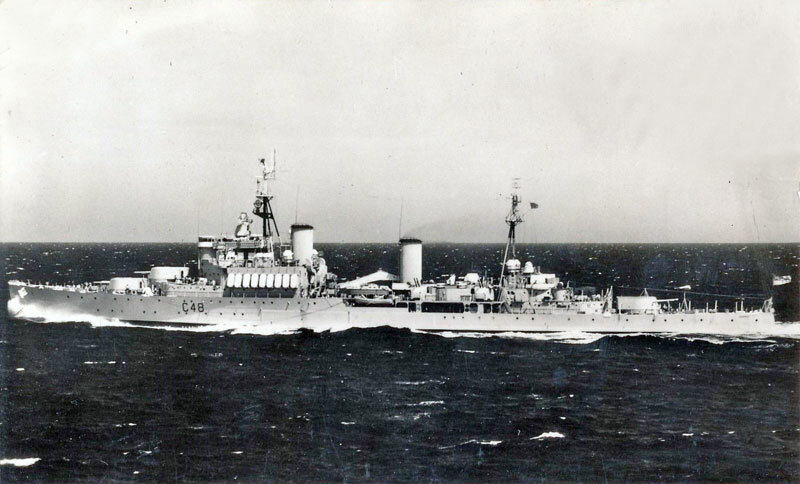 The last months of 1960 she served in the South Atlantic and the Home Fleet before entering the reserve in December of that year, her crew largely going to the new cruiser Blake. Gambia was paid off to reserve in December 1960 and she remained at Portsmouth until she was put on the disposal list and sold to Thomas W. Ward for scrapping. She was towed out of Portsmouth on December 2, 1968 and arrived at Inverkeithing for breaking up on December 5. She was finally broken up in 1969. HMS Gambia was almost saved by the Imperial War Museum as a museum ship instead of HMS Belfast. On April 14, 1967 museum staff visited HMS Gambia, which was moored in Fareham Creek, Portsmouth at the same time as HMS Belfast. What they were interested in was simply preserving one of the 6" gun turrets which were rapidly going out of service. Shortly after, they realized they could preserve an entire ship. Since Gambia had already severely deteriorated, attention was turned to the saving of the Belfast.